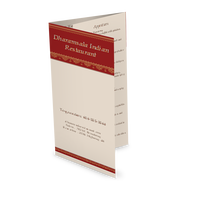 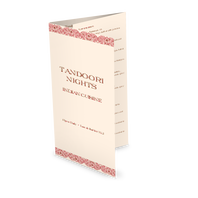 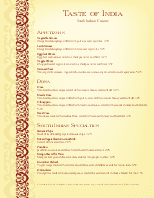 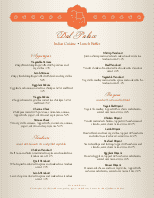 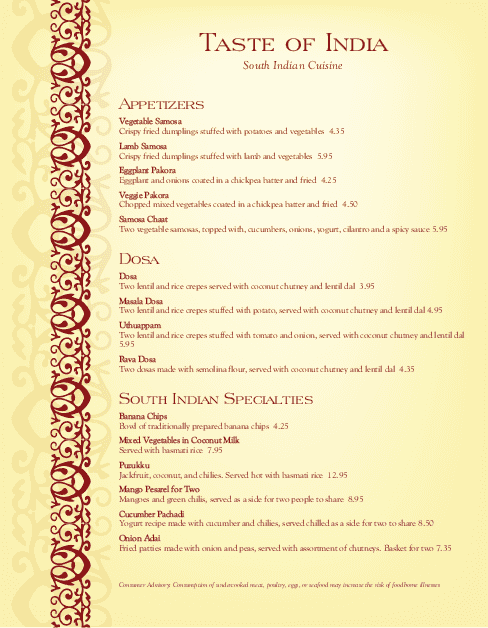 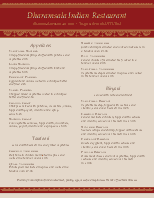 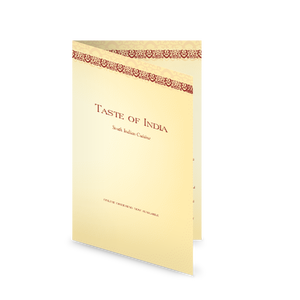 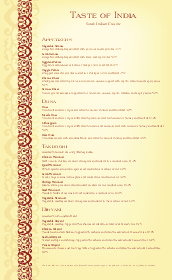 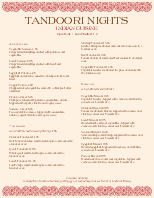 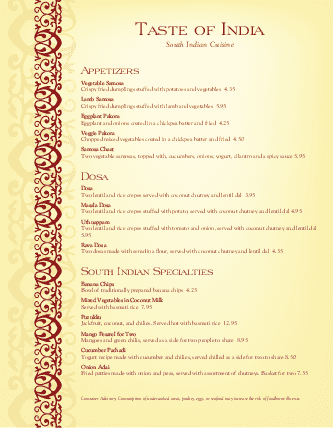 This upscale Indian menu in letter size features an exotic gold and red design. 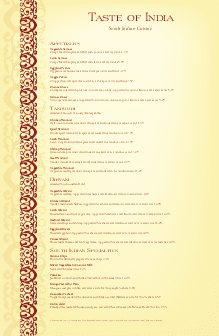 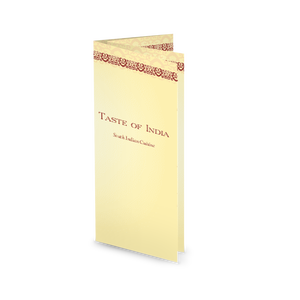 An ornate floral scroll in dark red borders the edge of the page, with space for a single wide column of Indian cuisine. 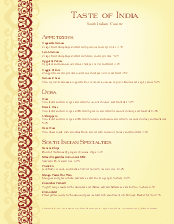 This Indian food menu can be fully customized with fonts, layout, graphics, and paper size.